I enjoy reading history and biographies tremendously. However, never was I able to articulate what Cicero said above about the pleasure and rationale of doing so. This is one of the key benefits of reading, to be in the company of the great men from history, see their actions, hear their speeches and feel the inspiration. At the very least, let their words express our vague thoughts. 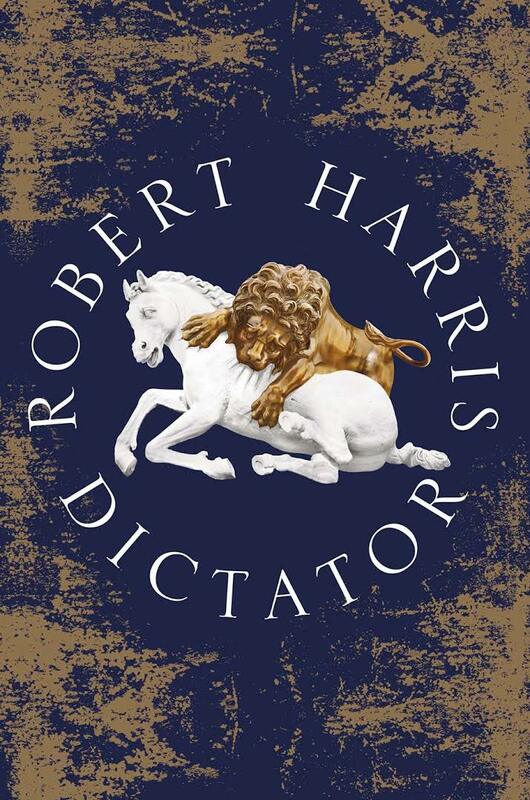 Dictator is the last one of the Cicero trilogy written by Robert Harris. It brings us back to an era when perhaps the most epic events of Roman history took place. Roman Republic was crumbling, the First Triumvirate of Julius Caesar, Pompey the Great, and Marcus Licinius Crassus fell apart when Crassus was killed in battle against the Parthians. As Cicero envisioned, with the death of Crassus, the imbalance of power between Pompey and Caesar would cause great turmoil. Indeed, the civil war was broken, with Pompey murdered by the Egyptians during his retreat, who were eager to please the winning side. Caesar became the dictator of the Roman Republic, and was subsequently assassinated as a result of a conspiracy among several Roman senators, not including Cicero. However, as pleased as Cicero was with Caesar’s death, he also feared for the future of Roman Republic. The conspirators were not able to restore that, despite the great efforts from Cicero’s part throughout the book. Further civil wars were pressing resulted from the assassination among Brutus, Octavian, Mark Antony and others. With a great amount of mentoring and advocacy in the Senator from Cicero, Octavian, the sole heir of Caesar and still a teenager, substantially grew his influence. At the end he betrayed Cicero and proscribed him on the death list, allegedly yielding to Mark Antony’s demand. Cicero’s head and hands were cut off and put on display in Rome to warn anyone who might oppose the new Triumvirate (Octavian, Mark Antony and Marcus Aemilius Lepidus). Not too long afterwards, Antony committed suicide after being defeated by Octavian who later became the Emperor Augustus. I gazed in every direction and all appeared wonderfully beautiful. There were stars which we never see from earth, and they were all larger than we have ever imagined. The starry spheres were much greater than the earth; indeed the earth itself seemed to me so small that I was scornful of our empire, which covers only a single point, as it were, upon its surface. All that will remain of us is what is written down. To finish the article here would not do Robert Harris, Cicero and Tiro any justice. It is during the years covered in Dictator that Cicero wrote his many books and articles. Tiro assembled Cicero’s large volume of correspondences and carefully made three copies to be kept for future generations. I do not know how many of those survived but certainly I am very earnest to find out and read Cicero’s own writings. We none of us needs to be reminded of the frightful violence that gripped the city yesterday – violence which has at its core a shortage of that most basic of human needs, bread. Some of us believe it was an ill day when our citizens were granted a free dole of corn in the first place, for it is human nature that what starts as gratitude quickly becomes dependency and ends as entitlement. Had I experienced nothing but an unruffled tranquility, I should have missed the incredible and well-nigh superhuman transports of delight which your kindness now permits me to enjoy. Partially thanking Pompey for ensuring his return to Rome, Cicero flattered Pompey to the public: Here is a man who has had, has, and will have, no rival in virtue, sagacity and renown. He gave to me all that he had given to the republic, what no other has ever given to a private friend – safety, security, dignity. To him, fellow citizens, I owe a debt such as it is scarce lawful for one human being to owe to another. Tiro noted that Pompey’s beam of pleasure was as wide and warm as the sun. He (Cicero) seemed once again to hold all the threads of life in his hands, just as he had in his prime. The arguments Cicero put forth in defending Rufus that shamed Clodia such that she resigned from the Roman public life forever: I am now forgetting, Clodia, the wrongs you have done me; I am putting aside the memory of what I have suffered; I pass over your cruel actions towards my family during my absence; but I ask you this: if a woman without a husband open her house to all men’s desires, and publicly leads the life of a courtesan; if she is in the habit of attending dinner parties with men who are perfect strangers; if she does this in Rome, in her park outside the city walls, and amid all those crowds on the Bay of Naples, if her embraces and caresses, her beach parties, her water parties, her dinner parties, proclaim her to be not only a courtesan, but also a shameless and wanton courtesan – if she does all that and a young man should be discovered consorting with this woman, should he be considered the corrupter or the corrupted, the seducer or the seduced? This whole charge arises from a hostile, infamous, merciless, crime-stained, lust-stained house. An unstable and angry wanton of a woman has forged this accusation. Gentlemen of the jury: do not allow Marcus Caelius Rufus to be sacrificed to her lust. If you restore Rufus in safety to me, to his family, to the state, you will find in him one pledged, devoted and bound to you and to your children; and it is you above all, gentlemen, who will reap the rich and lasting fruits of all his exertions and labours. Complaining about the rules of a contest is always a sure sign of a man who knows he is about to lose it. Just as the purpose of a pilot is to ensure a smooth passage for his ship, and of a doctor to make his patient healthy, so the statesman’s objective must be the happiness of his country. I dreaded the prospect of coming, naturally, but when I arrived it was not so bad. One deals with grief, I have come to believe, either by never thinking of it or by thinking of it all the time. I chose the latter path, and here at least I am surrounded by memories of her, and her ashes are interred in the garden. Friends have been very kind, especially those who have suffered similar losses. Sulpicius wrote to Cicero: How can we manikins wax indignant if one of us dies or is killed, ephemeral creatures as we are, when the corpses of so many towns lie abandoned in a single spot? Check yourself, Servius, and remember that you were born a mortal man. What a lot of trouble one avoids if one refuses to have anything to do with the common herd! To have no job, to devote one’s time to literature, is the most wonderful thing in the world. When falls on man the anger of the gods, First from his mind they banish understanding. I arrived expecting to be torn to pieces and instead I find myself drowning in honey. Cicero wrote to Atticus, describing moving into a property: I have put out my books and now my house has a soul. If a man ascended into heaven and gazed upon the whole workings of the universe and the beauty of the stars, the marvelous sight would give him no joy if he had to keep it to himself. And yet, if only there had been someone to describe the spectacle to, it would have filled him with delight. Nature abhors solitude. Gentlemen, I have already reaped the reward of my return simply by making these few remarks. Whatever happens to me, I have kept faith with my beliefs. If I can speak again here safely, I shall. If I can’t, then I shall hold myself ready in case the state should call me. I have lived long enough for years and for fame. Whatever time remains to me will not be mine, but will be devoted to the service of our commonwealth. It was perhaps at the end of the last meeting between Cicero and Octavian. It was undoubtful that Cicero and Octavian reached a deal that Cicero would advocate for Octavian being given imperium and the legal authority to wage war against Antony; in return, Octavian would place himself under the command of the consuls. Before parting, Cicero made the speech: On this day youth and experience, arms and the toga, have come together in solemn compact to rescue the commonwealth. Let us go forth from this place, each man to his station, resolved to do his duty to the republic. Octavian’s parting words: Your speeches and my swords will make an unbeatable alliance. This was not long before Octavian betrayed Cicero.